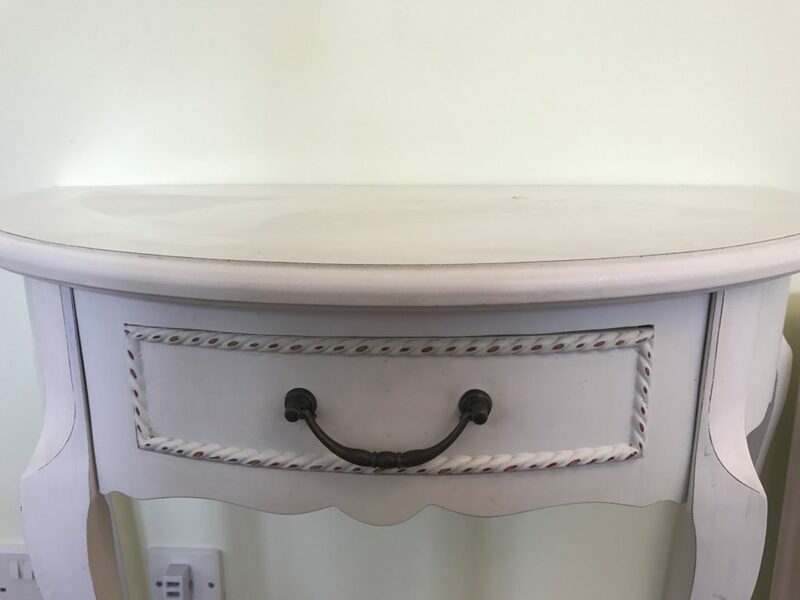 I’ve painted many items of furniture over the years and used lots of different types of paint. 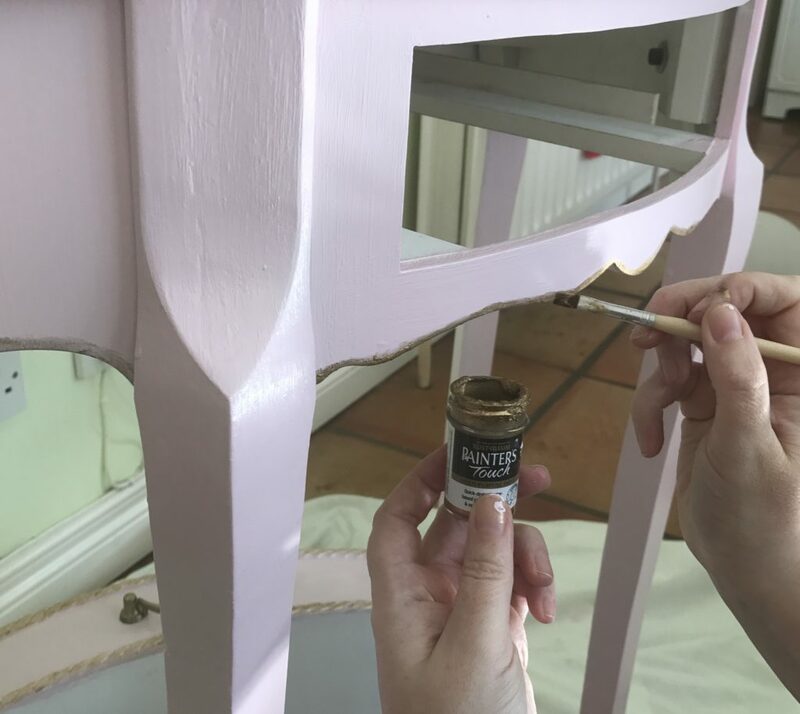 Originally when I started painting furniture I always used satinwood paint and then I went through a stage of using chalk paint for everything but found it seemed to mark easily on pieces of furniture that were being handled a lot. 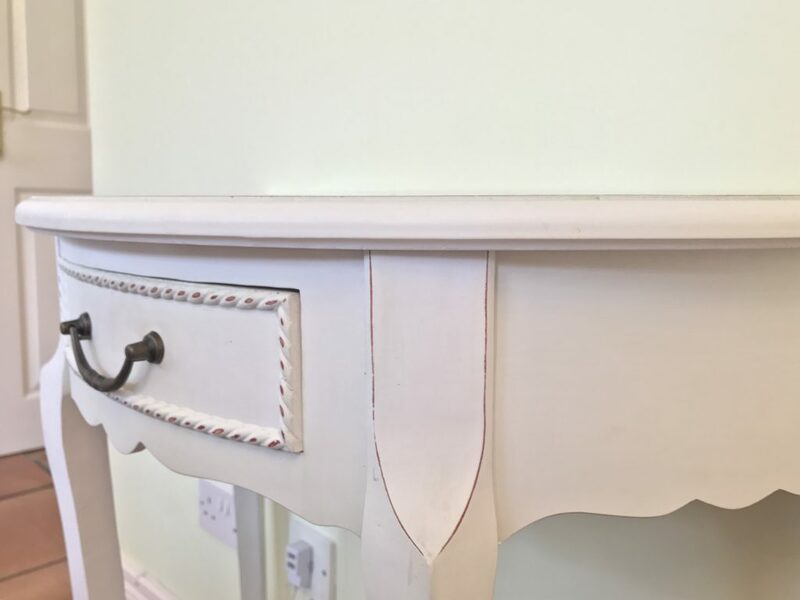 I prefer using it for smaller projects like mirrors and frames but mainly use satinwood for larger pieces of furniture. 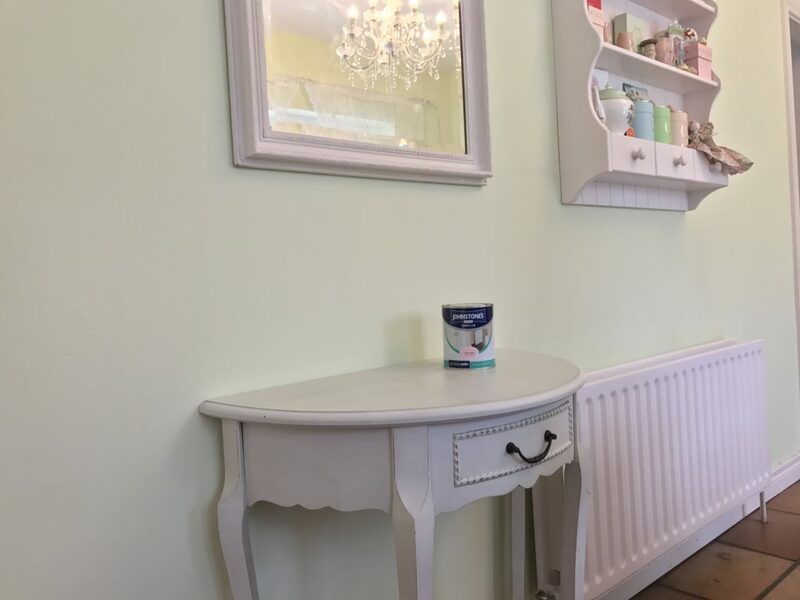 In saying that I do love Rustoleum chalk paint and used it it paint a large bookcase in my dining room in Laurel Green. 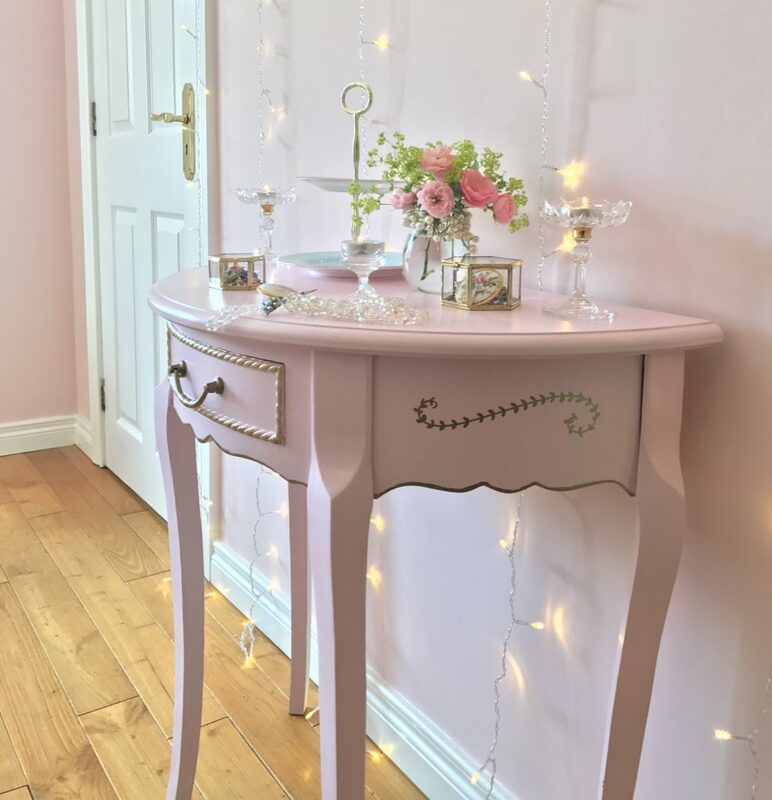 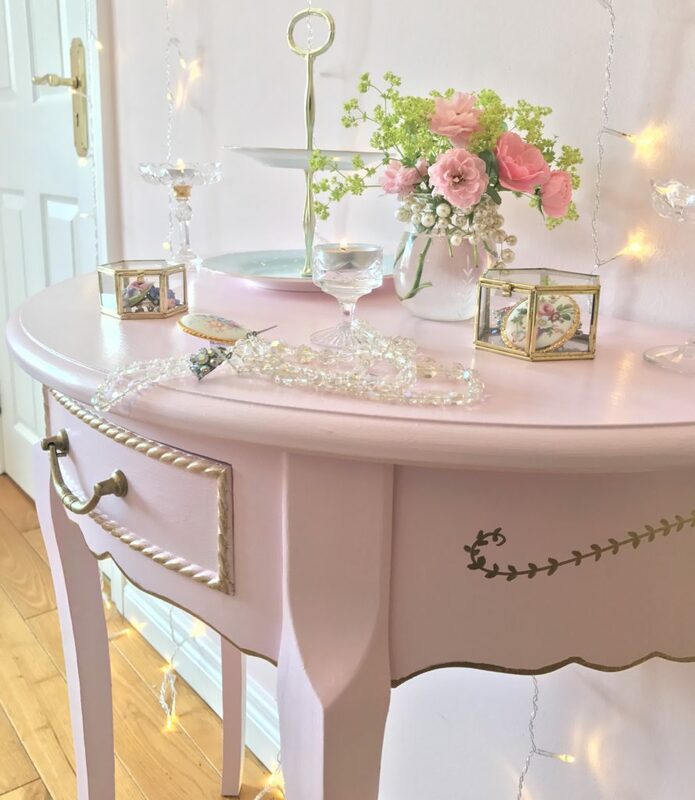 This little table sits in my hall and was getting a bit grubby and marked so I decided to paint it pink and gold. 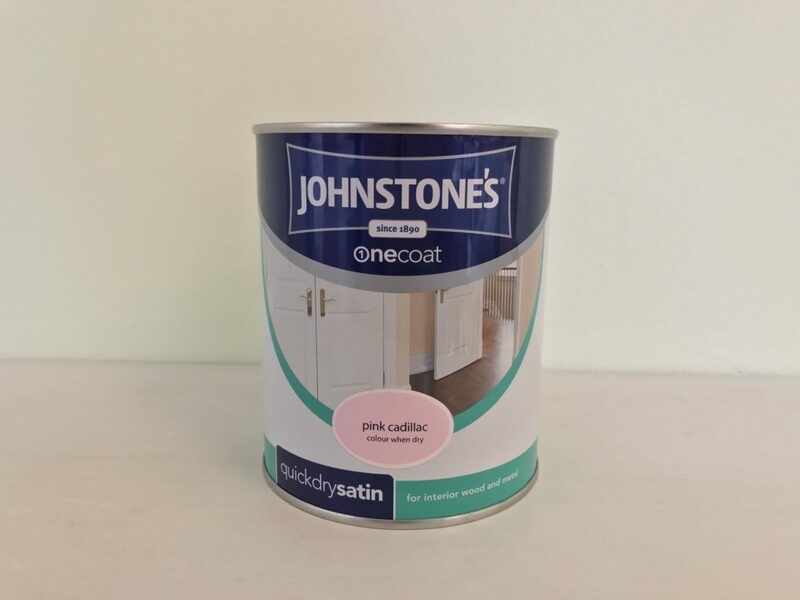 I didn’t want to spend a lot of money so bought a pot of Johnstone’s quick dry satin in Pink Cadillac from The Range which cost £8.49 and I already had some little pots of Rustoleum painters touch enamel in gold. 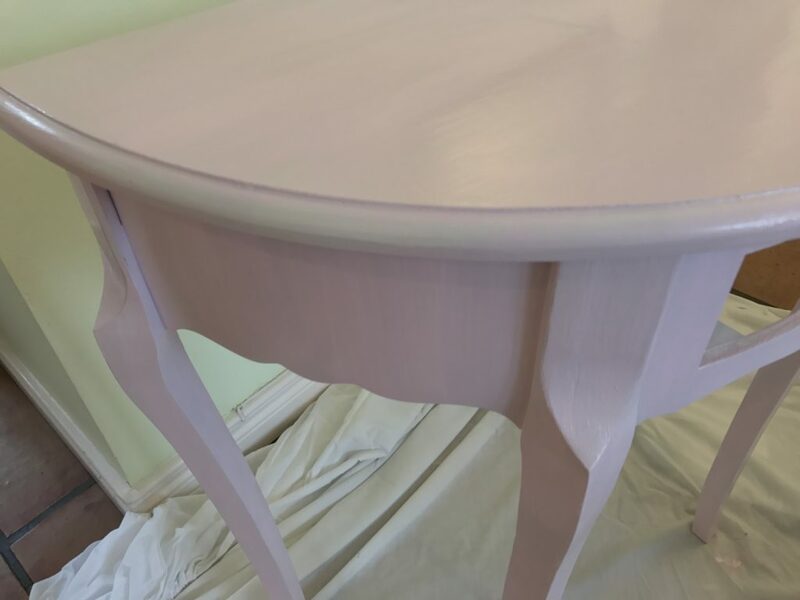 To prepare the table I wiped it down with sugar soap wipes and then painted it with a couple of coats of the pink paint. 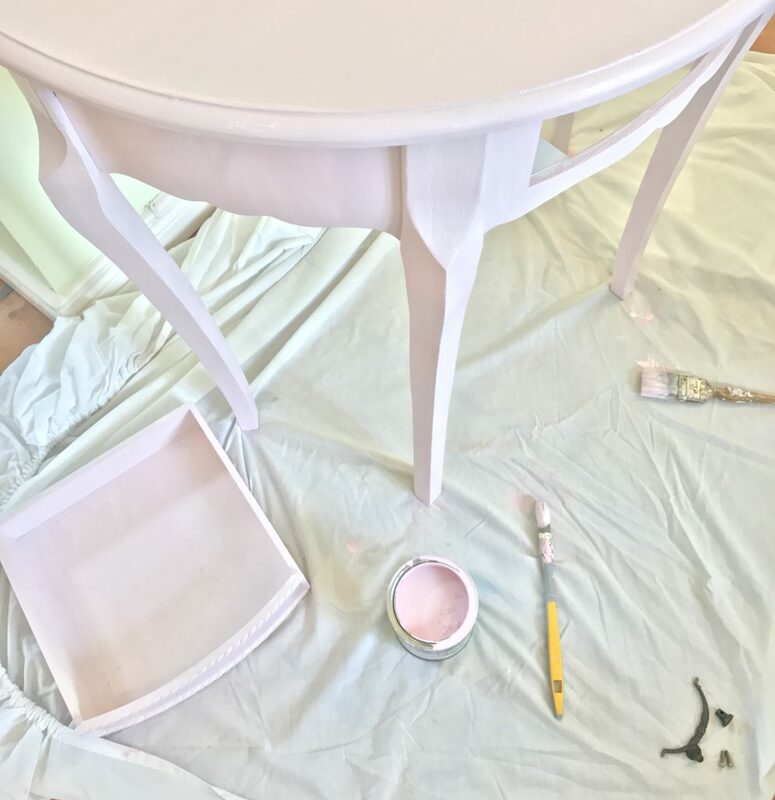 This paint is so easy to work with and dries quickly which is great as I don’t have a lot of patience! 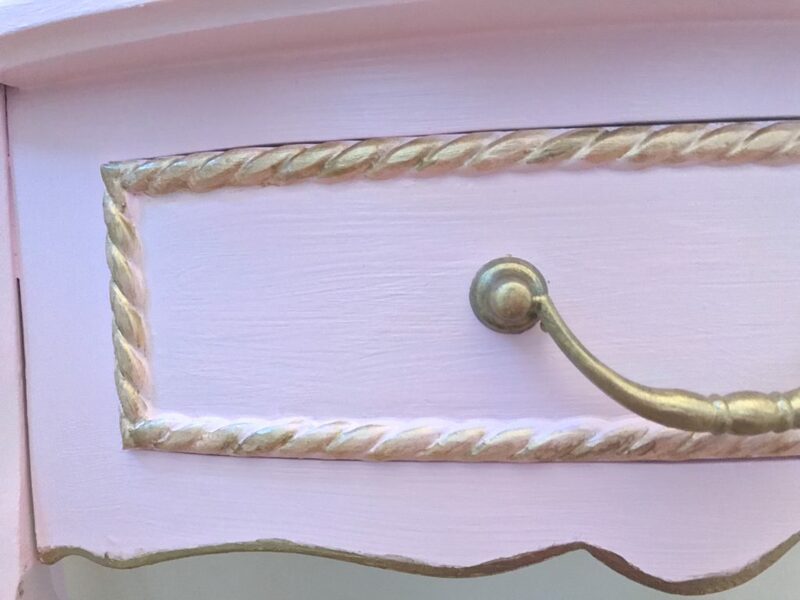 I painted the handle with the gold paint using a small brush and added gold onto the edges of the drawer. 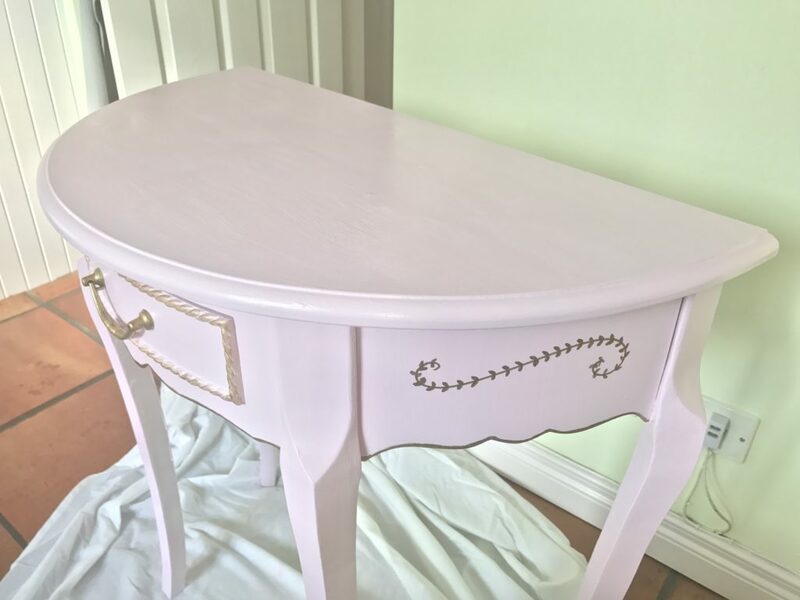 I also painted the scalloped edges of the table with the gold paint and then drew on little swirls on the sides with a gold Pentel paint marker pen. 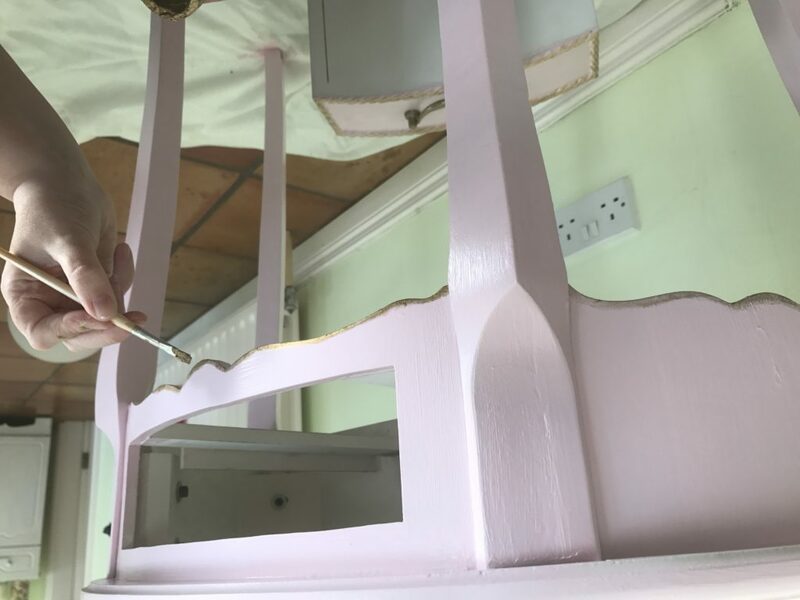 I was really pleased with the finished result and it didn’t take long at all to transform this little table and give it a new lease of life. 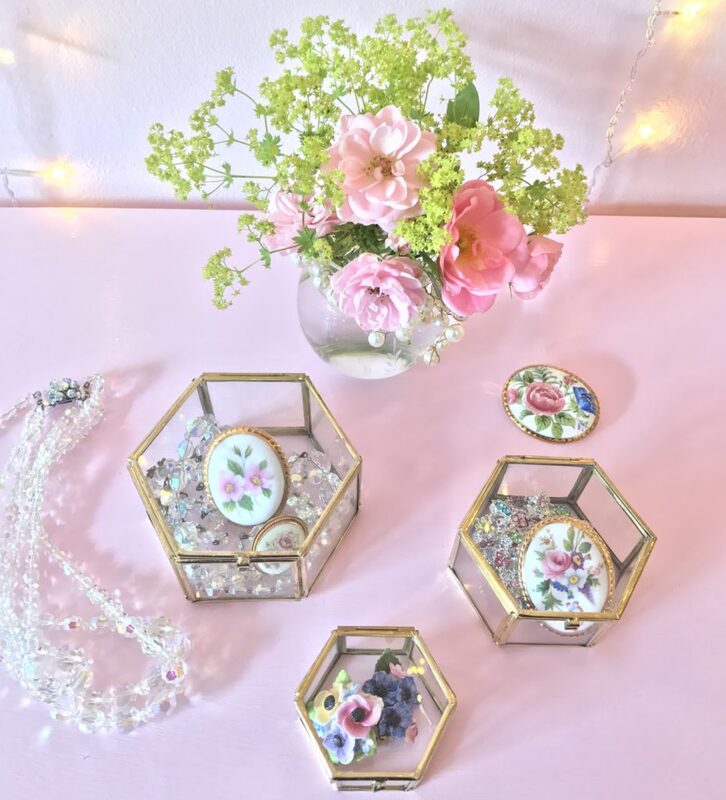 Found you on Instagram, beautiful tea cups and decor. 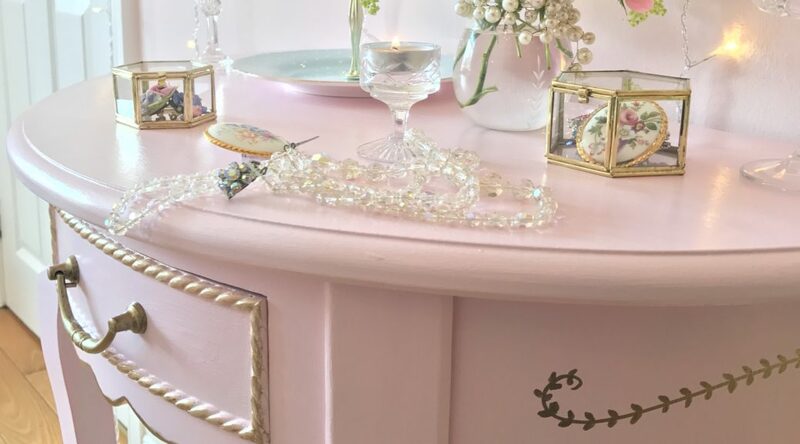 I love all the pastel colors you have incorporated in your home.